I would have no concerns with 1 $ and would simply stack with no space. 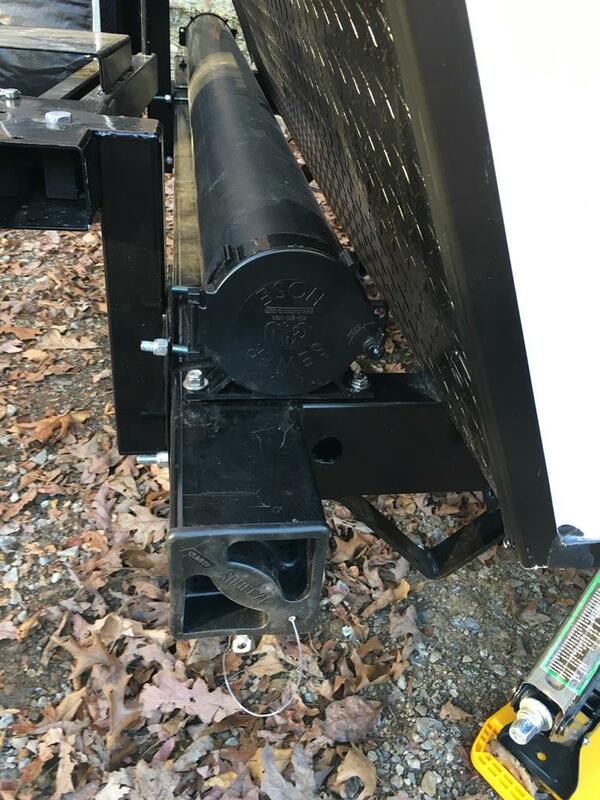 However I would not use steel for the “second bumper”, rather I would use vinyl fence post and simply use industrial strength zip ties to attach there are some some extremely heavy duty zip ties available, the type that are 1/4” width. Agree w/ clubhouse except I would stack it on top of the old bumper. No Drag. Paint it black. Mine is under the rear frame but I'm getting ready to relocate it a little further back so the dents on my head can heal from the slide out contact. This is what I did on my 08 Eagle. Lasted 9 years with no problem. I like the idea of stacking on top of the old bumper. Rejected that idea at the beginning because the spare tire bracket is attached there but will relook at the idea. It also solves the drag issue. I will have to go to the storage yard today to assure that it can fit under the ladder. You may not need one the full width of the existing bumper if you just want to store another hose. I get at least 30' in my one bumper, you may not need to go under the ladder, or, even interfere with the tire. 4' will allow you to stow another 20' hose. I stole that idea from someone on the board, and used the vinyl gutter insert as recommended as well. Works like a charm. Thanks to Grumpy for the idea, I added a second bumper for storage. Still learning how to weld but it came out pretty good. Going to Grand Canyon and some freezing weather but won't have to worry if one of the sewer hoses has an issue. Just carefully inspect the welds that hold the lower bumper to the frame brackets. Those are the ones that usually rip loose from road forces due to the thin metal the bumper is made of. Beefing them up may be needed now that you have more weight hanging on them. Of course, I can't see them, so that may be something you have already addressed.